Several times the government have claimed there is no going back on oil exploration off the coast of Ibiza. However, the Alliance Mar Blava uncovered that the Spanish and European legislation empowers the Central Government to deny environmental permits for a project if it has an unaffordable environmental impact. Without the necessary environmental authorisation for the project, it cannot be implemented. Nor would the promoters of the project (in this case the Spanish government) be in breach of contract if they cancelled the project, nor incur any compensation fees, if the environmental impact study was negative. A clear example is the Declaration of refusal of the Balboa Refinery (Extremadura) project, which showed that in these cases it is not necessary to compensate the company EIR. The Alliance believes this is the case we are facing now, and that the phases of exploration for hydrocarbons (seismic testing and drilling tasting) carry intolerable environmental risks, not to mention noise pollution by hydrocarbons and heavy metals in an environment privileged and protected by various environmental bodies. These factors are, according to the Alliance, enough to consider the zero alternative (No Go for the Project) from the Ministry of Agriculture, Food and Environment, which is currently assessing the environmental permits for the first phase of investigation requested by Cairn Energy, ie seismic studies. The Alliance Mar Blava insists that this oil exploration project is not an inevitable reality and that the central government has more than enough legal tools and environmental arguments to stop this first phase of exploration, without any compensation obligation to Cairn Energy whatsoever. In addition, clean alternatives to oil generate more (and better quality) jobs. It is estimated that the commitment to sustainable mobility could employ almost 450,000 people in 2020 and reduce energy consumption by 13%. A number much higher than the one that, for example, provides the Tarragona Casablanca oil platform that does not even reach 2% of the national demand. 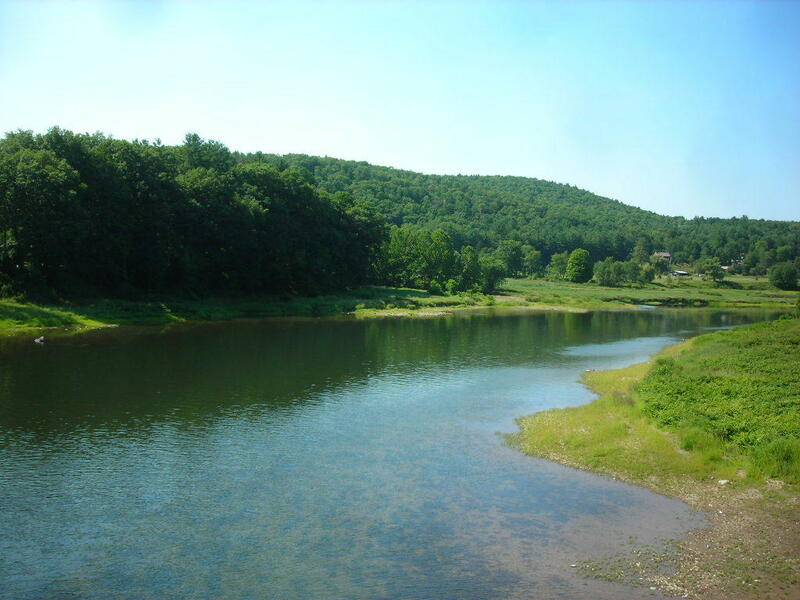 Following the moratorium established by the Commission of the Delaware River Basin in July 2013, the companies Hess Corp. and Newfield Exploration Co. abandoned a project of extracting non-conventional natural gas (fracking) in northeastern Pennsylvania, where they had leased 80,000 hectares of land. The companies argued purely commercial reasons (low gas prices and increased presence in the oil sector) for its abandonment, but the fact is that the temporary moratorium banning drilling in the so-called ‘Marcellus shale’, forced companies to temporarily suspend operations. The Marcellus Shale is a layer of sedimentary marine rock found in eastern North America and extending along much of the Appalachian Basin. The name comes from an outcrop near the village of Marcellus, New York. This rock contains reserves of untapped natural gas, and its proximity to major markets throughout the U.S. East Coast makes it an attractive target for energy companies. The moratorium decision by the Commission of the Delaware River Basin, (which includes representatives from New Jersey, New York, Pennsylvania, Delaware, and the federal government, and oversees and regulates the water supply of more than 15 million people, including Philadelphia and half the population of New York City) was based on their findings that the technique of fracking can cause serious aquifer pollution. The moratorium was enacted in 2010 for a period of three years due to the need for better environmental protection standards . After a long and important movement that brought together thousands of people and numerous groups and organizations of all kinds, including more than 40 municipalities of Cantabria, on April 8, 2013 the Cantabria Parliament approved a law prohibiting the use of the fracking technique in the region. Cantabria thus became the first Spanish Autonomous Community to pass a law of this nature, then followed by La Rioja. In both cases, the law makes clear its retroactive suspension of research permits granted prior to enactment automatically and without compensation. 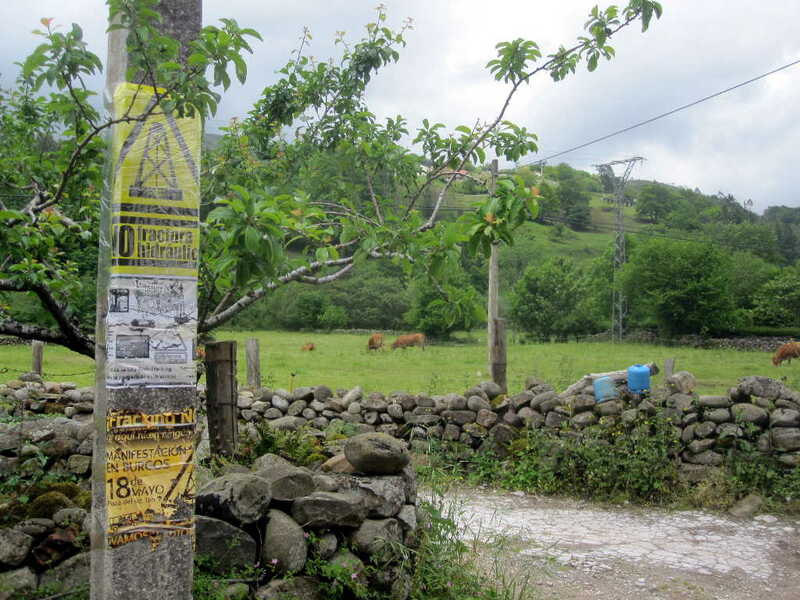 Tens of thousands of signatures and submitted arguments against fracking projects in Cantabria, as well as numerous events supported by prominent athletes, musicians, journalists and writers, have served to warn against the risk of fracking irreversibly transforming rural areas and harming livestock, agriculture and sustainable tourism. Previously, France in 2011 and then Bulgaria in 2012, prohibited fracking throughout their national territories by state law, echoing this precautionary principle. Germany, Britain and the United States have imposed moratoriums on the practice of fracking at regional levels. Opposition grows worldwide as more is known about the negative impacts and the false expectations created by this industry. Fracking is an extraction technique that involves injecting hydrocarbons at high pressure in boreholes, drilling millions of litres of water laden with a toxic chemical cocktail at high pressure to cause fractures in the rock, thereby releasing the gas that lies within it to flow to the surface. This process causes numerous environmental impacts, including groundwater contamination, air pollution, greenhouse gas emissions (methane), earthquakes (induced seismicity), noise pollution and landscape impacts. In addition to these impacts, one must also consider the related truck traffic to transport the extracted gas, water consumption and land occupation. On November 14, 2012, the unanimous vote by the commissioners of the California Coastal Commission allowed them to deny the Pacific Gas & Electric Company (PG & E Co.) permission to conduct high energy seismic surveys on the coast of County of San Luis Obispo, because of the risks to fisheries and marine life. Denial is temporary for one year at this stage, but is likely to become final. The power company PGE had considered carrying out these seismic surveys in order to analyze the network of fault lines surrounding the Diablo Canyon nuclear power plant, in order to have more data on frequency and intensity of earthquakes. This would involve using an air gun to send explosive sound shockwaves of 250 dB into the ocean every 15 seconds for a prolonged period of time. The campaign against these seismic surveys has mobilized thousands of people, including collectives of fishermen, divers, surfers, environmentalists and Native Americans. 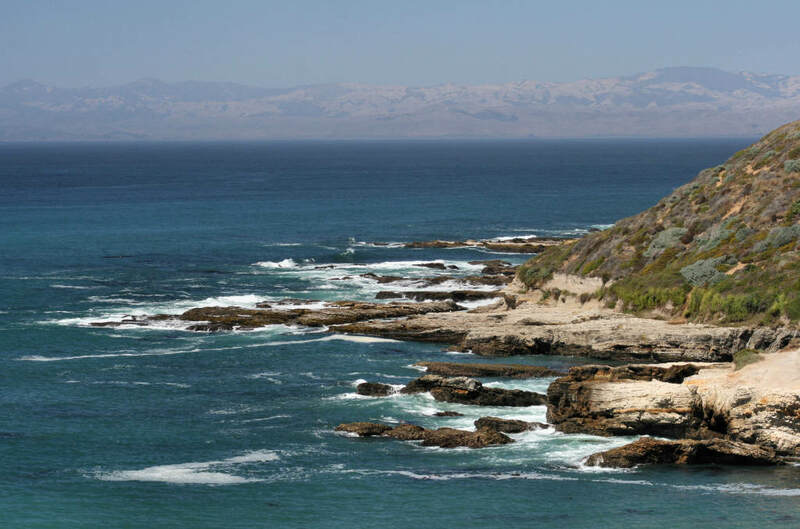 The California Coastal Commission has taken the decision to protect their fisheries resources. Scientific studies demonstrate damage to fisheries in the short-medium term, reducing catches of up to 50% and with possible long-term effects due to the mortality rate of the larvae and the juveniles fishes as a result of seismic surveys. In addition, significant damage to the marine environment (especially in cetacean populations) would occur. All of these factors have led the Commission to decide not to open the California coast to such seismic activity. In this particular case it was concluded that seismic surveys would not contribute to safer nuclear power nor to an effective tool for predicting earthquakes. However, environmental damage would nevertheless be sustained. In May 2011, Brazilian oil giant Petrobras announced its decision to abandon plans for exploration and exploitation of oil in the deep waters of New Zealand, in an area known as Raukumara Basin. The announcement was made after seven weeks of public outcry, without finalising its campaign of previous seismic surveys, which were already underway. Raukumara Basin is a very unexplored ocean basin that lies deep in the waters of the east coast of the north island of New Zealand. Petrobras undertook a seismic survey by the Orient Explorer ship, meeting opposition from a flotilla organized by Greenpeace and local Maori tribe, the Te Whanau a Apanui. The New Zealand government even sent navy ships with police to protect the activity of the Orient Explorer, in line with its policy of favoring the exploitation of oil in deep waters which, according to the Prime Minister of New Zealand, would build a strong economy and create jobs. These same arguments have been used by the Minister of Industry, Energy and Tourism in Spain. The Petrobras seismic survey had to last between 45 and 60 days, but after 32 days of activity the company decided to cancel operations, after their activity was hindered for a number of days by bad weather and protests by the flotilla. Of course, Petrobras has argued that its decision to leave the area was purely commercial, based on a number of factors including internal strategy in terms of prioritizing their project folder for oil and gas exploration in the world. They also claimed not to have found anything interesting in the area from a geological point of view. The Balboa refinery was a project to build an oil refinery in the town of Maimona (Badajoz). Although it was an internal refinery project, its operation would have meant a significant increase in the presence of oil off the coast of Huelva, especially threatening the Doñana area, and the construction of a 200km pipeline, which would had gone through many areas of high environmental value. Both the movement of oil tankers and the existence of the pipeline with a high risk of oil spill accidents, pointed to catastrophic socio-economic and environmental consequences. After the announcement of the project in 2004 several opposition groups mobilised and the “Civic Platform No to the Refinery”,was formed. Thousands signed manifestations and environmental organizations such as WWF / Adena got on board. Their work succeeded in alerting international organizations such as UNESCO, RAMSAR, IUCN, the European Commission and the European Parliament, who in turn raised alarm bells about the negative environmental impacts of the project in protected areas such as the Doñana National Park. Portugal also showed their opposition to the project. The handling of the project started in 2005 and had to be abandoned in March 2012 after receiving, seven years later, the negative Environmental Impact Statement (EIS). This put an end to the project permanently. That unfavourable EIS for the project concluded that the main environmental objection was the project’s potential impact on the Doñana National Park and the marine environment in an area of fisheries reserve. Furthermore, according to the report, the need for transport would breach the energy efficiency targets set by European standards. In addition to impacting the beaches and marine ecosystems of Doñana, there was a risk of serious harm to the biodiversity of the Sierra de Aracena, as well as various water courses and the quality of life for all inhabitants of the Earth of Barros (Badajoz). Also the project would have contributed significantly towards climate change and would have meant that a large amount of public funding was wasted.